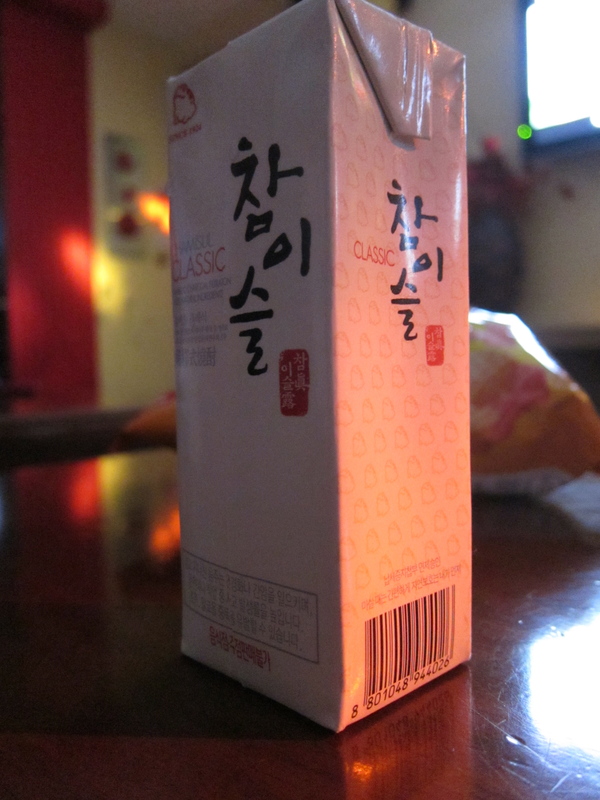 Soju in a box! In an individual portion-size juice box! It wasn’t my original intention to taste three sojus from Jinro (the first half of the lineup) and three from Lotte Liquor (the second half of the lineup), the two largest Korean soju producers. I was just looking for different soju labels for sale at my local Korean market in Oakland, and those were the ones I found (all 375 mLs and $3.99 except for Jinro 24 ($4.79) and Saan Soju ($1.99)). To be honest, I had a difficult time picking up any differences among the six labels. They all carried a kick from high alcohol content and were vaguely sweet. Literally blindfolded, there were only a few distinguishing qualities that I could tease out from each glass. Distilled from 60% grain, 20% sweet potato, and 20% tapioca and “spirits”, CHAMISUL ORIGINAL (20.1% v/v alc.) was my favorite. It just tasted fresh and even. In comparison, CHAMISUL FRESH (19.5% v/v alc.) felt ever so slightly flat. On Jinro’s website, they claim to add a “natural sweetener from Finland” to the FRESH version – wonder what that sweetener is? The contents label for FRESH was more ambiguous with “neutral spirits and spirits distilled from 50% rice and 50% barley”. To me, the ORIGINAL was more fresh than the FRESH. The sweet potato-based SAAN SOJU (21% v/v alc) had some green tea extract added to it (according to the label) though none was perceived (by color, taste or smell). And finally, the CHUM-CHURUM with the plainly worded label (20% v/v alc.) was indistinguishable from the CHUM-CHURUM “Feel~! so Cool” with the flirty girl dominating the bottle (19.5% v/v alc.) despite the 0.5% v/v difference in alcohol. They’re both made from sweet potatoes with sugar and high fructose corn syrup. Since only two companies were covered here, this is only the beginning. 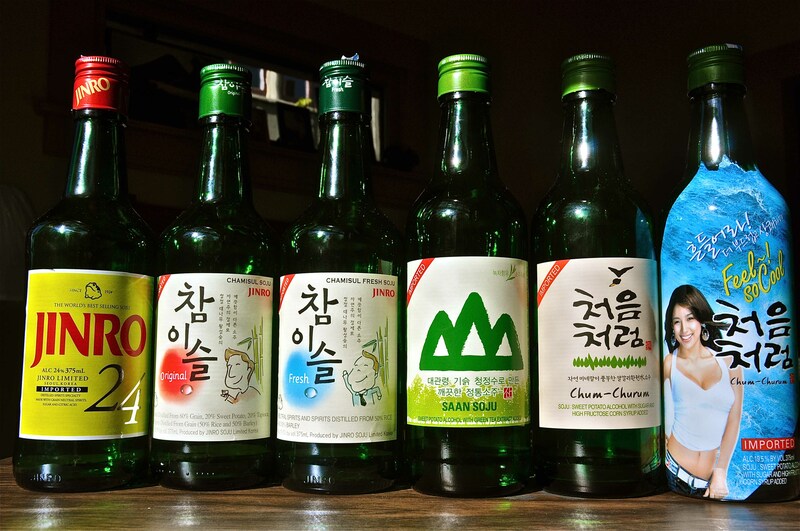 I’d love to compare other popular brands to those tasted today in addition to hopefully finding here in the U.S., soju made by smaller, lesser known companies.